Join us for an evening of fun & love! 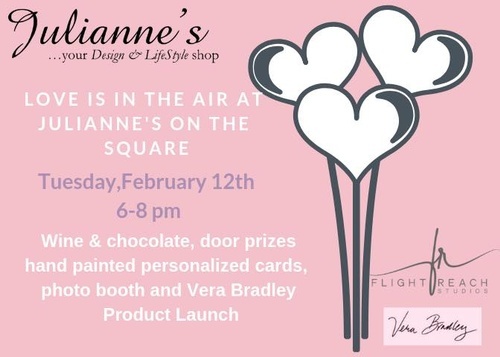 We will have treats from & refreshments (yes, there will be wine), door prizes, browse our Vera Bradley product launch, get a personalized card, and have a professional photo taken in a Valentines scene! Everyone is welcome! We can’t wait to see you!